Its hard to imagine life without computers, a lot of us spend our whole days in front of screens, which is why its important to have the right tools and accessories to make the user experience as easy as possible. These devices interconnect us and help with the daily communication in our jobs. There is a huge amount of choice in this category, with accessories created to do many functions. We stock promotional USB products that can help keep data safe and protected. There are also cable supporters that guarantee order and cleanliness, essential when there are multiple cables across the floor. 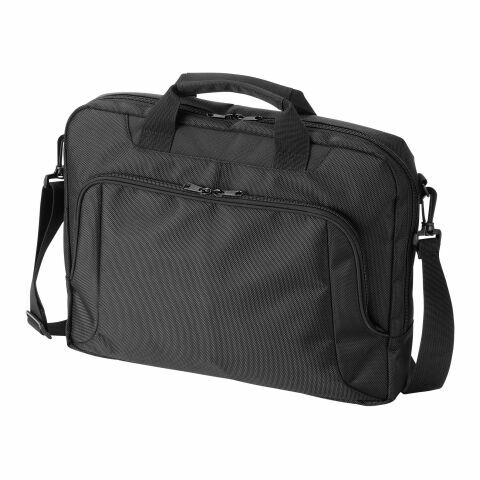 There are also a wide variety of laptop bags made from polyester and PU leather. There is bound to be a promotional computer accessory in this collection to fit your brand. All of the products featured here can be personalised by having your company logo printed on the front. Help make your customers and co-workers lives easier by providing them with promotional computer accessories. Computers are used so often in society that it would be hard to imagine life without them. Thanks to USB ports and small gimmicks that can be connected to the computer, they proof themselves to be useful helpers in everyday life and some products like table fans or keyboard vacuums can even bring a laugh on ones face. Your logo or advertising message on one of these accessories turns every desk into a unique workplace. allbranded helps you to establish your business on the market with special promotional products . Use USB flash drives to increase your business' popularity; everyone will appreciate these colourful and useful products. Thanks to high quality manufacturing and their daily use, computer accessories have a lasting advertising effect. 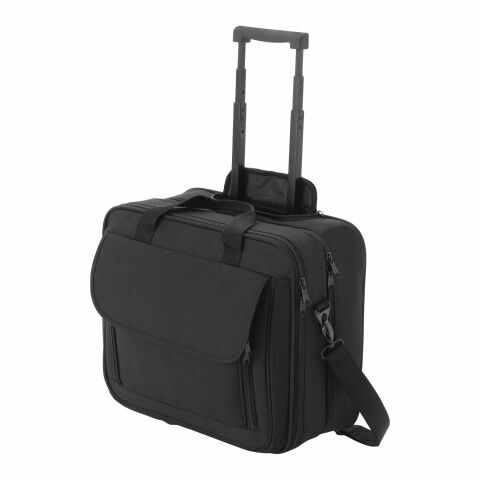 There is a lot of choice in this category, besides the tech related items like branded USB drives and desk lamps, there are also many styles of promotional laptop cases , and shoulder bags that are specifically designed to hold laptops. These come in a variety of materials, including PU leather, polyester and nylon. There are also laptop backpacks, for those that like to be hands-free when they are on the go. We also stock padded tablet sleeves, to protect screens when tablets are put into bags. The backpack with wheels and extendable handle will be ideal for those that travel a lot. No matter what your marketing aim, there is sure to be a style of product to suit you. There are many useful items that can be distributed to many target audiences; the computer powered fan would be a welcome gift for employees during hot summer days at the office. The lamp, powered by USB, would be handy for those that need a little extra light at night time, or perhaps during a power outage? The usefulness of these products makes them high use, meaning your logo will be seen many times. Computer accessories are always welcome and will be used often, both in the home and at work. Present yourself as a modern company and use computer fairs to distribute giveaways like branded mouse pads. Be assured that this way, you'll give away items that have a high practical value . For computer store openings, you could give away USB flash drives - printed with your business design - to customers, they will feel special and think fondly on your brand. On these USB’s you could put information about your company, upcoming events and other promotional material. This will appeal to the tech minded generation in particular, but because we're all using technology on a daily basis, the target demographic can be anyone! Should your customers use these tools every day, and they most likely will because they are so practical, then your branding will be viewed countless times on a regular basis. 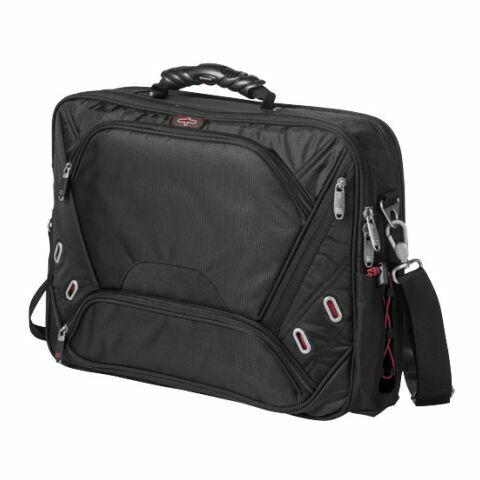 There is a lot of choice in this category, weather you want to distribute handy USB drives and desk fans, or you'd like to protect your client's laptops and tablets by giving them promotional tablet cases and laptop bags. Show your business in a modern light by distributing promotional computer accessories. All recipients will be thankful for such practical and useful items. All products in our online store are available in different forms and colours and can be customised by pad printing, engraving or doming. Order now your promotional product in your corporate design.